For any avid golfer, there’s nothing better than getting in 18 holes on a perfect blue-sky day. Luckily, if you’re a golfer who moves abroad, you don’t have to give up your favorite hobby. Europe, where golf originated (in 15th-century Scotland, say most historians), is still going strong as a golf destination. The game is now a favorite the world over, with some of the world’s top courses found in Asia and Latin America. A nice bonus when playing in the tropics: Warm weather year-round means you can hit the links 365 days a year. No more waiting for the spring thaw. Club memberships and green fees are often much lower, too, which makes sense in countries with signiﬁcantly lower costs of living. Of course, playing with exotic backdrops, perhaps with curious local wildlife as spectators, makes the round all the sweeter. We’ve included five countries on our list—Costa Rica, Portugal, Thailand, Mexico, and Ireland—each offering a different appeal. Costa Rica draws tourists from around the world who come to enjoy its golden-sand beaches, rainforests teeming with exotic life, and intoxicating culture. And as the winner of the Global Retirement Index 2018, it draws expats for a better retirement. But if you’re a keen golfer, there’s another reason to enjoy this Central American paradise. Costa Rica is an ideal spot for the novice and advanced golfer. Not only are the conditions of the courses exceptional, but—compared to prices in the States—golf here is a bargain. Most green fees are well under $100, and if you live here, the rates can be even cheaper. 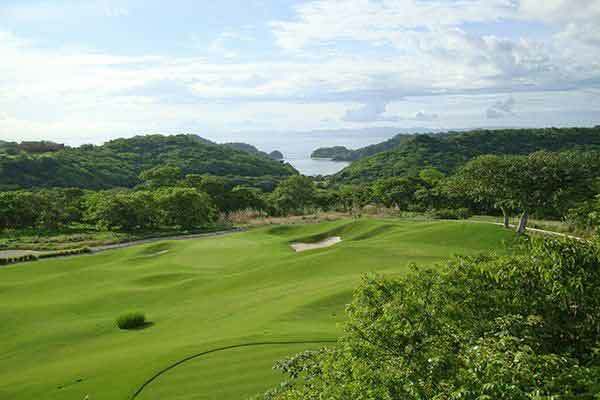 The larger resort courses, located in the northern Guanacaste region, are geared for the experienced golfer, and they come with pricier green fees. Courses centred around the capital, San José, are better suited for novice golfers. One of a few hundred courses in the world that is certified by the Audubon Cooperative Sanctuary, which encourages golf courses to be environmentally friendly, this 18-hole championship course hosts many national tournaments. A couple can enjoy a rewarding retirement in Tamarindo on $2,500 a month. Portugal’s southernmost region, the Algarve, is known for its craggy cliffs, Atlantic beaches, whitewashed fishing villages and countless golf resorts. 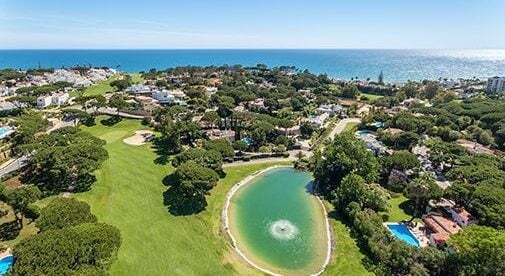 Originally conceived in the 1980s as a world-class golfing venue, the resort town of Vilamoura offers elegant hotels, fine restaurants, and a large marina in addition to the pristine Praia da Falésia beach. 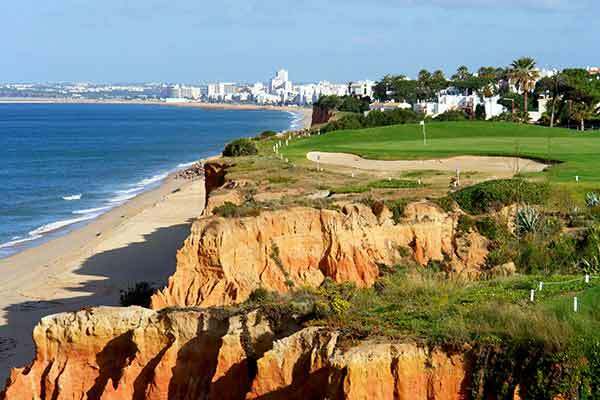 As one of Europe’s best golfing destinations, Vilamoura offers a host of championship courses—the perfect spot for an enthusiastic golfer. There are six challenging courses in the Vilamoura Resort area including the championship Victoria Golf Course, the Millennium Golf Course, the Pinhal Golf Course and the Laguna Golf Course. In the Algarve, a couple can live a fulfilling retirement on $2,400, or less. With more than 250 courses scattered throughout Thailand, it has fast become a golfer’s heaven. In fact, Thailand is riding high on the back of a golf tourism explosion—a major boon for the country. Hua Hin, set on the Gulf of Thailand, has been a summer refuge for Thai kings and aristocracy since the 1920s. It’s the country’s original beach resort. But these days it’s a popular golfing area with a huge selection of courses including the first-ever 18-hole course in Asia. Due to the competitive green fees, every golfer can enjoy the quality golf on offer. Black Mountain Hua Hin is a championship course considered one of the most challenging in the country. 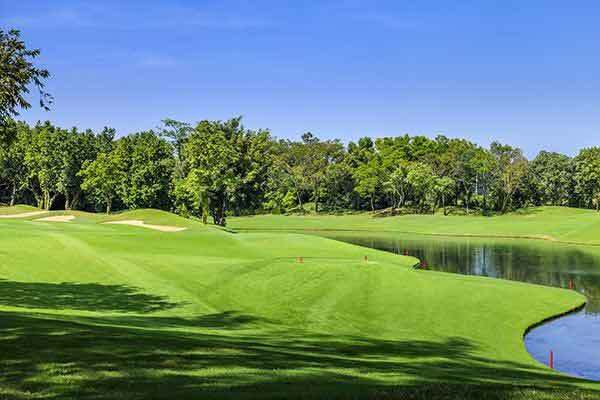 It has won copious accolades and just a few kilometres away from the heart of Hua Hin, the course caters to players of all levels. Off the course, you can enjoy white-sand beaches lined with palm trees and seaside restaurants specializing in seafood. Here, a couple can live well on $2,000 per month. On Mexico’s Riviera Maya you’ll find a couple dozen golf courses, many created by top designers like Jack Nicklaus, Greg Norman, and Robert Trent Jones. They are usually on the grounds of the large resorts in this region—standouts include El Camaleon Mayakoba, Vidanta, and Bahia Principe. You don’t have to be staying at the resort to play. There are also country clubs. This region has a great climate year-round, similar to Florida and perfect for golf. It also has the added benefit of being close to the U.S.—a flight to Miami is just over an hour. 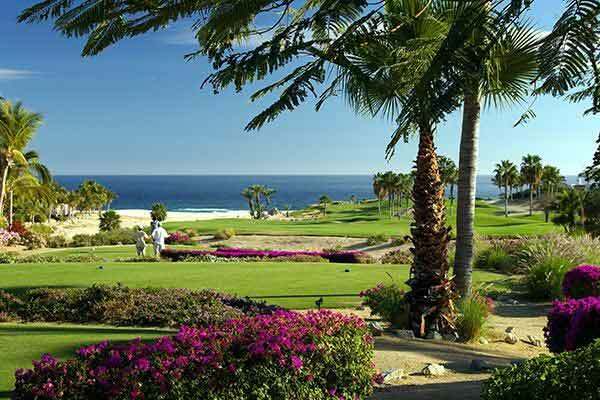 The major towns in this area—where the golf courses are located—include Cancun, Playa del Carmen, Akumal, Puerto Aventuras, Puerto Morelos and Tulum. It’s about an hour and 20 minutes drive from the international airport in Cancun to Tulum, with all those other towns in between. So, wherever you happen to live you can easily reach any of the golf courses. A monthly budget for a couple in Cancun runs at $2,000 per month. Lists of the top places to play golf consistently rank courses in Ireland among the world’s best. 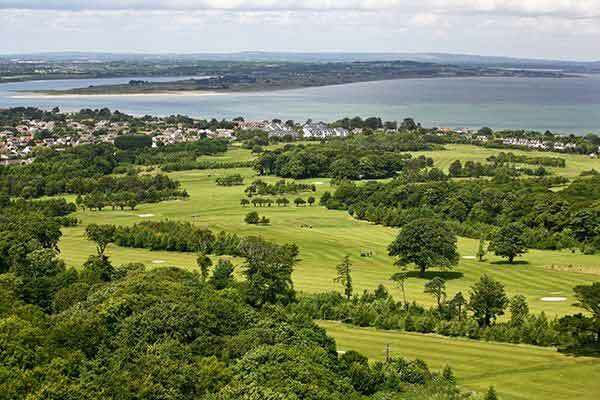 Home to 300 golf courses, it’s not surprising Ireland has many famous golfers such as Rory McIlroy, Padraig Harrington and Paul McGinley. Many courses here are laid out in classic style, “links,” which is marked by a seaside location and built on naturally undulating land. Another factor is the beautiful green countryside. One of the best places to base yourself for golf in Ireland is Lahinch, a small seaside village on County Clare’s northwest coast. It’s a vacation resort and a surfing center, too. But golfers love its finely crafted links course. The cost of living in Ireland can be a lot more affordable than you might think. In rural areas, rent on a two-bedroom property typically starts at less than $600 a month and utilities usually run about $100 a month. It’s fair to say that most people who dream of visiting Cambodia are more likely to be influenced by the exotic draw of its ancient temples, royal palaces, and saffron-robed monks than anything else. But recently a different kind of tourist have been visiting for reasons you might not have expected—to play as many rounds of golf during their trip as possible. Golfing is the sweet spot in the country’s tourism strategy which is successfully attracting new visitors. David Baron has spent the past five years working as Director of Golf at Angkor Golf Resort in Siem Reap where he is a prominent supporter of Cambodia as an up-and-coming golfing destination. “This country has a certain natural charm and travelers have a sense of delving into the unknown. In Siem Reap we have three international standard golf courses all within 20 to 30 minutes of each other which makes it very convenient for a short golf break. The city also offers excellent value for money with a wide range of accommodation and vibrant nightlife.